Come one come all to the One Love Jam 1/14/12 at Zuma Beach! 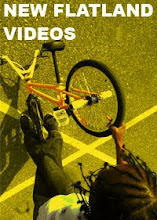 Filmed and edited by Shayne K.
One Love Jam Promo from One Love BMX on Vimeo. Two important web edits and a new site. OK, this dude is pretty dope! Gabe Kadmiri is holding it down in San Diego.